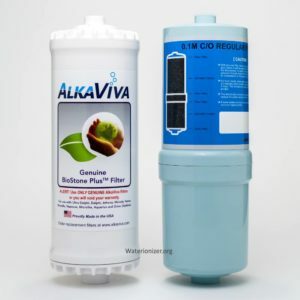 UltraWater replacement filter for your ēlita Non-Electric Countertop Water Ionizer. Works in both the CT700 Countertop. Rated for 700 Gal. Replacement filter for your UltraWater pHD Non-Electric Countertop. After extensive testing, we have increased the filter life of the UltraWater pHD Countertop to 700 gallons – equivalent to ionizer filters.